Part 1 (Episode 57): Pre-production & Recording. 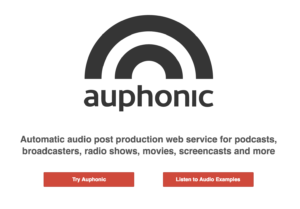 What are some of the more common audio terms podcasters need to know? What do you do after you record your podcast? In this episode I simplify the some of the glossary terms and language of recording and editing podcasts. The goal of editing is to shape the story, clean up the gaps and mistakes and produce a naturally sounding podcast. Start at the left and work your way to the end. Don’t overthink it and try to clean too much. I usually do this right after editing. 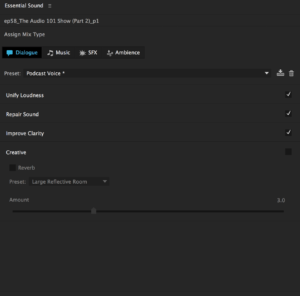 Tip: Record 3- 5 secs or so of quiet room noise before you record anything so you have good ambient noise for the noise reduction plugins can sample from. How does noise reduction work? 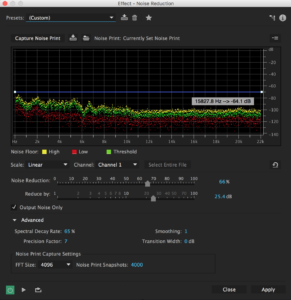 Noise reduction filters simply measure the ambient room noise and scans your entire recording and removes the bad noise. 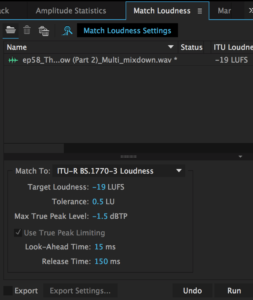 It makes sense to do this early in the editing because if you raise up the levels before you do noise reduction, you also raise the levels of the bad noise and we don’t want that. Use it sparingly as aggressive noise reduction will make your voice sound very weird. Normalization of audio is simply pulling the volume or levels up to a decibel level that you set. Normalization does not affect the dynamic range (the difference between the loudest and quietest parts of a recording). How I Normalize Audio: I tell Audition to normalize the entire track to –3db. Audition then pulls up the volume of the entire track and the highest peak is now at –3db and so everything just got a little louder including the quietest parts. All you need to know is that equalizers work in frequencies and everything on the left side of an EQ is the low-frequencies, the middle is the mids and the right is the highs. 1. On every podcast I apply a High Pass Filter or what is often referred to as Rolling Off the Low End. I set the High Pass Filter to –80db and what the filter does is removes all low-end rumble that the microphone is picking up from room noise. I run a high pass filter on every episode. 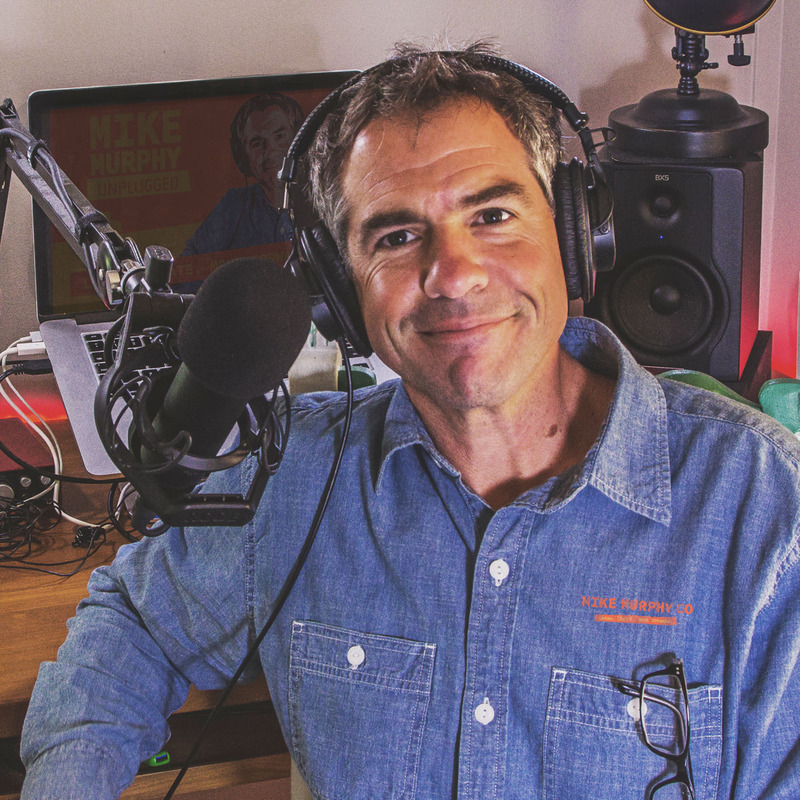 Great EQ Resource: The Podcaster Studio by Ray Ortega. Download the EQ Cheat sheet and learn the frequencies. Dynamic range in audio is really just the difference between the loudest and quietest parts of the recording. 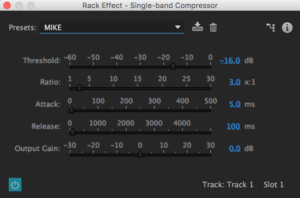 The job of compression is to tame dynamic range to make it easier and more enjoyable for you the listener, but you don’t want to tame it too much or it will sound unnatural and weird. Compression is what gives that boomy radio announcer voice. Compression actually does is reduces the loudest parts of the audio to trim off the stray loud parts, also called transients thereby closing the gap between the loudest and quieter parts. 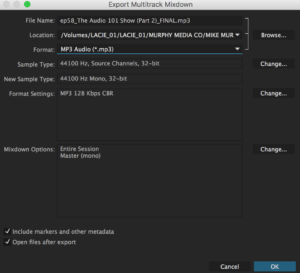 So the overall volume is reduced, and then you crank it back up with what is called makeup gain and because the dynamic range got crushed, it sounds fuller and louder. removes sibilance from strong consonant sounds. I do not use the De-Esser, but it is a term you should know about as most people use it. Hard limiting is a very popular technique that most audio engineers recommend using on the Master Track at the very end. It is a way to make the audio sound sound without the possibility of it peaking over 0dB. Broadcast standard is measured in LUFS. 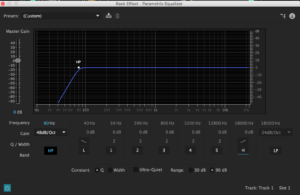 I tell it to get my audio to –19 LUFS and set the limiter to –1.5 db. It does all the work and I hit save. My final audio file meets broadcast standards and with the limiter, I know the loudest peak will never go above –1.5 db so no clipping is possible.